The examples of architectural and urban design in Úbeda and Baeza were instrumental in introducing to Spain of Italian Renaissance design criteria but had their origins in the Islamic period. The exceptional feature of this cities lies on the fact that they have structured in a dual complementary and inseparable fashion. This duality makes them operate in many aspects as a single city, with their own affinities and features and differential shades of meaning characterizing their morphology and historical development until present times. The central areas of Úbeda and Baeza constitute outstanding early examples of Renaissance civic architecture and urban planning in Spain in the early 16th century and achieved exceptional development characterized by the influence of humanism. This development of constructive solutions in the field of stereotypy made it possible to adopt complex architectural solutions, which have had an evidenced and relevant impact on the architecture of Spanish America, confirming, in this versatile way of dialogue with the American cultural world, their character of an open and universal project. The two small towns, Úbeda and Baeza, some 10 km from each other, are located in southern Spain between the regions of Castile and Andalusia, on the northern slopes of the valley of the Guadalquivir River. 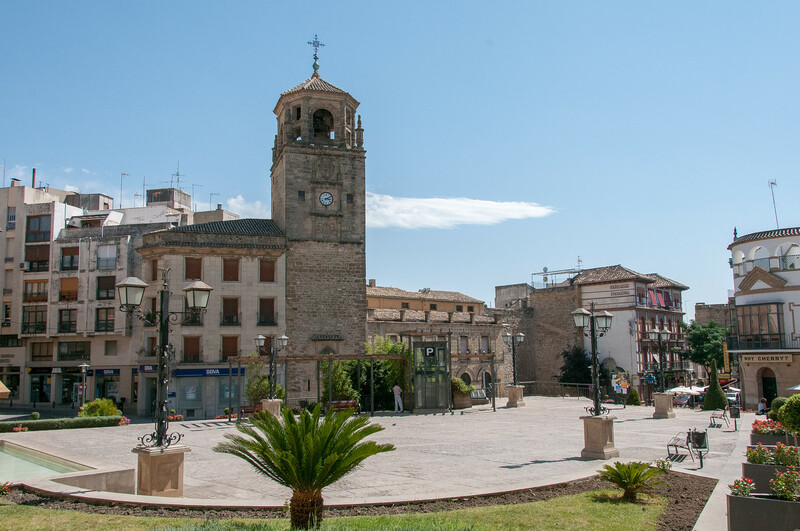 Being on the frontier of the two regions, the towns have assumed a character of contrasts, which is reflected in the urban fabric that is of Arabic and Andalusian origin and more northern influences. In the 8th century Moorish conquest the towns became fortresses, which quickly attracted fortified urban settlement with a characteristic layout of narrow irregular streets. Úbeda was conquered by the Christian army of Ferdinand III in 1233-34, playing a role as a frontier fortress after the fall of Granada in 1492. Baeza, a minor settlement in the Roman times, was taken over by the Christians in 1226-27. Both towns prospered for a time in the 16th century, and have survived until the present day. They are an exceptional example of the distribution of urban functions so that the sum of the monumental site of Baeza (public, ecclesiastic and educational) and of Úbeda (aristocratic and palaces) make up a complete Renaissance urban scheme of high architectural quality. I drove to the towns of Ubeda and Baeza on my way to Granada. They are very close and if you visit one you can easily visit the other. It can also be easily visited on a day trip from Granada if you are in the area. That being said, I didn’t think this was one of the most stellar examples of a World Heritage site. Baeza was far more photogenic than Ubeda and it was easier to walk around the city to explore its heritage. Of the Spanish UNESCO sites I’ve visited, I was least impressed with this one. It is definitely on the margins of what I would call “world heritage”. They are nice towns, but I don’t think they qualify as world level. The Renaissance Monumental Ensembles of Úbeda and Baeza is a cultural UNESCO World Heritage Site in Spain. This is a collection of multiple sites located in Ubeda and Baeza. The sites were awarded the World Heritage Site status in 2003. 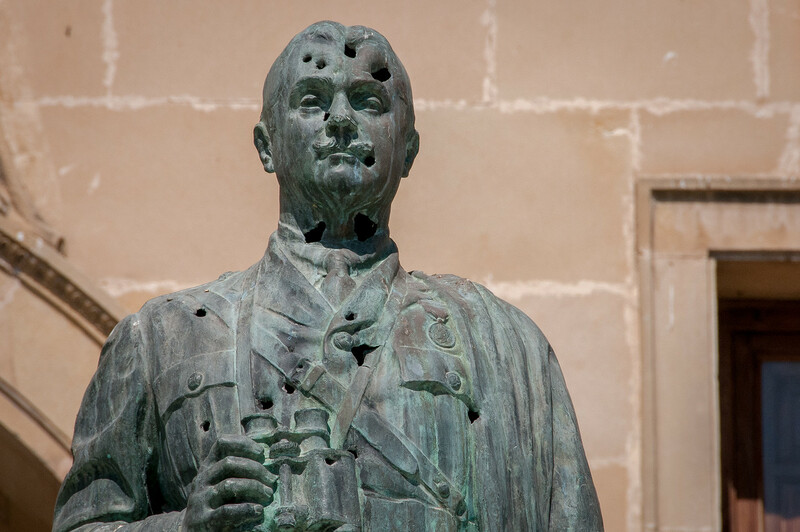 It consists primarily of an urban landscape that contains post-medieval and European monuments. According to UNESCO, the sites that were included in the protected area showcase the best examples of Italian Renaissance architecture in these parts of Spain. These two towns are located in the Andalusian province of Spain. In the 16th century, both Ubeda and Baeza developed their wealth. They ended up competing in terms of creating the best and most elaborate Renaissance buildings. The aristocratic families seem to be the driving force for these developments. However, the Renaissance buildings located in both towns were a work of Spanish architect Andres de Vandelvira. The Renaissance Monumental Ensembles of Úbeda and Baeza is a collection of sites recognized by UNESCO for its cultural and architectural value. To be specific, the architectural features that were featured in both towns reflect the culture and society of these towns during the 16th century. Among the structures included within the UNESCO listing were Renaissance and Isabelline-style buildings, walled cities, cathedrals, and more. All of these structures were built in the 16th century. The townscape of Ubeda is one that will impress, no doubt. Along the edge of this historic town, it is filled with green olive groves. This is the first sight you will relish before making your way into the town that is filled with facades of carved stones and whitewashed houses. For the best of Renaissance architecture in the city, head to the Plaza de Vazquez de Molina Square. You will relish the sight of old architectural wonders such as the Las Cadenas Palace, El Salvador Chapel, and Santa Maria de los Reales Alcazares Church. These buildings will make you feel like you are being transported back in time to the height of the town’s wealth in the 16th century. The civil character of the buildings in Ubeda is therefore undeniable. Baeza is a neighboring town of Ubeda in Spain’s Andalusian province. It is the other half of the Renaissance Monumental Ensembles of Úbeda and Baeza. Like Ubeda, Baeza is also rich in artistic wealth and monumentality. 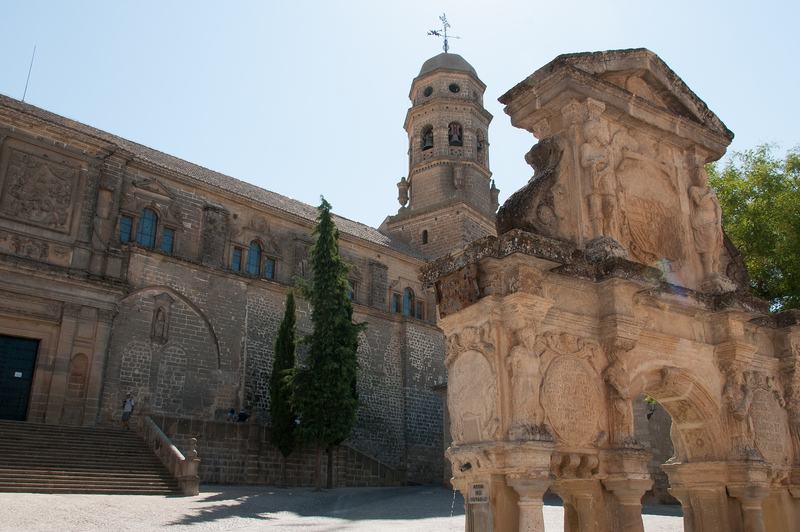 But unlike Ubeda wherein the civic character is prominent among the Renaissance and monumental buildings, religion is the key element for Baeza. This charming town features various Renaissance cathedrals that are among its most valuable treasures. The cathedrals offer distinctive Renaissance details such as flower ornamentation, pinnacles, braids, and diamond-shaped points. 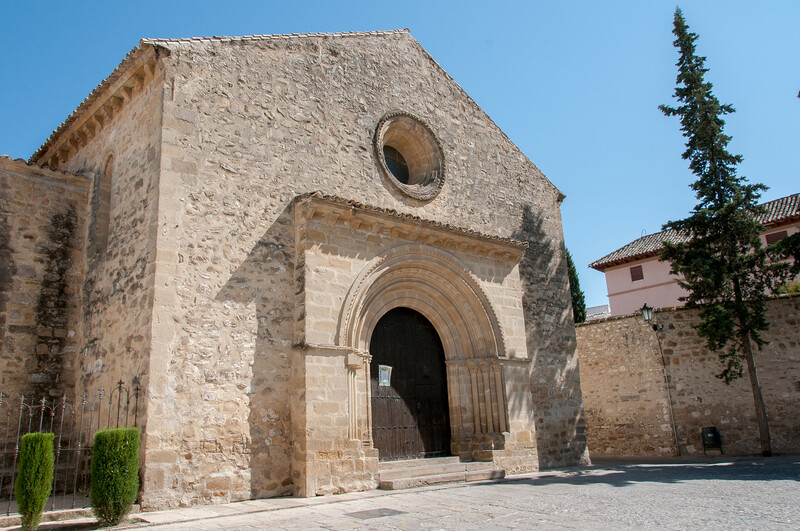 Two religious structures that are notable in Baeza for their artistic beauty and cultural heritage are the Seminary of San Felipe Neri and Palace of Jabalquinto. Hi, I want to subscribe for this weblog to take most recent updates, thus where can i do it please help out.